5 Weeks of Christmas Stitching! All patterns and classes are free, but you must register for the classes on-line. Hot Pot Table Protector Kit is $10.99 Stop by the shop to purchase. If bringing your own supplies, a Materials List is on the website and also available at the shop. These are great for any skill level. 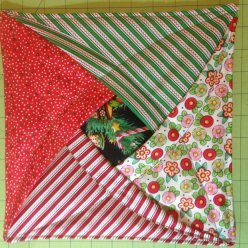 For those seeking more direction or wish social sewing atmosphere, these classes are for you! See samples on-line or at the shop. For those who can't visit the shop, but wish to purchase the kits, please call or email the shop and the kit can be mailed with the free pattern. No shipping charges!